Film and Anime Reviews, new and older releases! 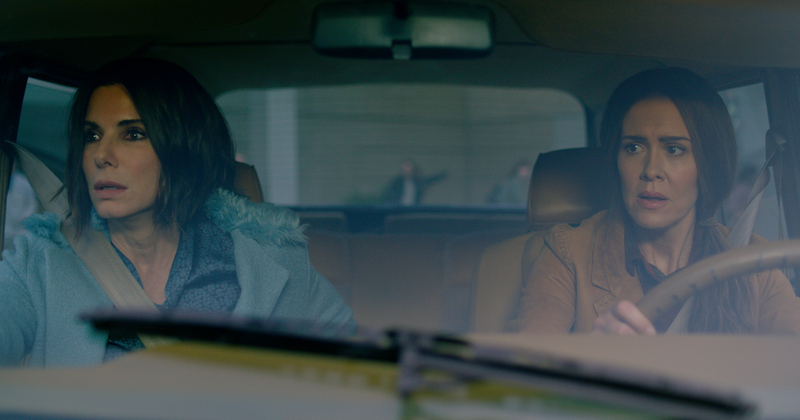 Bird Box, Netflix’s latest smash hit original film, sees America’s Sweetheart (that title is for life) Sandra Bullock as prickly, emotionally isolated, and pregnant artist Malorie Hayes, who finds herself caught in the middle of a pretty unusual apocalypse after seeing a strange news story with her sister Jessica (Sarah Paulson). It seems the world has been invaded by some kind of mysterious creatures with a hell of a defense mechanism: if you so much as catch a glimpse of them, you are compelled to kill yourself as quickly, efficiently, and often messily as possible. The screen story quickly bifurcates into two timelines. In one, Malorie is holed up in a suburban house with your usual ragtag group of mismatched survivors, including the acerbic Douglas (John Malkovich), stoic everyman Tom (Trevante Rhodes), the pregnant Olympia (Danielle Macdonald), and a solid roster of familiar faces such as B.D. Wong, Rosa Salazar, Jacki Weaver, Lil Rel Howery and more. This narrative stream deals with Malorie and company trying to figure out the ‘rules’ of their predicament and adapting to the new normal, which mainly involves blindfolds. There’s also a tense, interesting sequence where the gang tries to navigate to a supermarket in a car with blacked-out windows by using Google Maps only. In the second time period, some five years after the first, Malorie attempts to lead two small children, who she only refers to as ‘Boy’ and ‘Girl,’ to safety while they are all blindfolded. This involves a boat trip down a river, with hard-nosed Malorie riding the two moppets like a Marine drill instructor to ensure they never, ever, chance taking a peep at the monsters that still plague the world. Based on the novel by Josh Malerman, Bird Box is just the latest in a long line of apocalyptic works that stand in the shadow of Richard Matheson’s magisterial 1954 horror opus, I Am Legend, which positioned everyman Robert Neville as the sole human survivor in a world now wholly populated by vampires. The novel’s DNA can be found in Night of the Living Dead (1968), The Walking Dead (2010), A Quiet Place (2018), Stake Land (2010), The Happening (2008), and countless other offerings — any story where some kind of procedural logic needs to be applied to a seemingly supernatural end-of-the-world scenario owes a debt to Matheson. 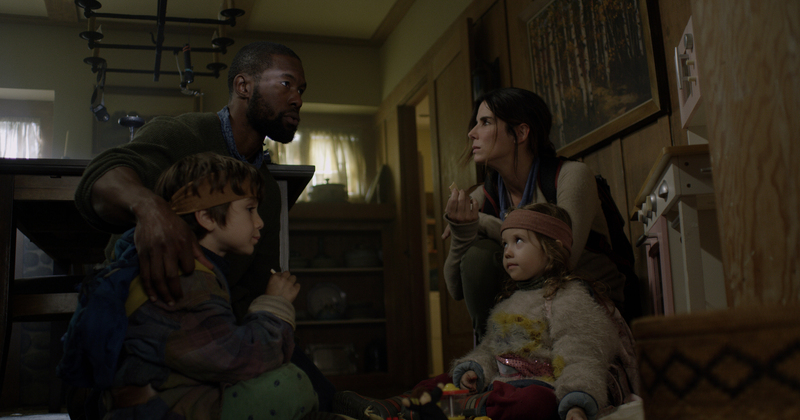 And so it is with Bird Box, which at least offers some interesting new wrinkles on the premise, and applies them more effectively than M. Night Shyamalan did with 2008’s superficially similar The Happening. Crucially, the cause and the vector of the plague of sudden suicides remains mysterious, with director Susanne Bier, Serena (2014), astutely not letting the audience see what the film’s soon-to-be-dead victim characters see that drives them to self-termination. The old ‘just seeing it drives you mad’ riff is, of course, Lovecraftian as hell, which helps push the story away from the usual zombie/ vampire plague and into the more interesting territory occupied by the likes of John Carpenter’s In the Mouth of Madness (1994) or James Tiptree, Jr.’s short story, The Screwfly Solution (filmed as an episode of Masters of Horror (2006) by Joe Dante, and well worth both reading and watching). Conceptual elaborations aside, we also get some novel methods of self-dispatch: one character simply climbs into the front seat of a burning car and waits for it to explode. The scenes dealing with the early days of the crisis are more emotionally effective than the scenes set later on the river, which ask us to believe that Bullock’s character has become so psychologically shattered by the deaths of pretty much everyone in her life that she won’t even give her young charges names — hence ‘Boy’ and ‘Girl.’ The idea is that she doesn’t want to feel any attachment to them in case they’re also killed, but the film fails to convince us that her trauma is so advanced and profound that she’s arrived at this kind of twisted logic. It’s not really Bullock’s fault — she’s front and center emotionally and narratively for the bulk of the film, and does a good job of carrying the action, but needed another couple of scenes or incidents to really drive home the extent of her character’s damage. Suspense is heightened by Bird Box’s other conceptual elaboration, the idea that those who are already crazy don’t kill themselves after seeing the whatever-they-ares — but they are compelled to force other people to look at them. That’s a pretty poor bit of representation for the mentally ill (where’s the line? If you have anxiety disorder do you fall into this category, or do you have to be full-tilt mental? ), but does mean that we get the additional threat of people wandering around ripping down window blinds, shattering barricades, laying traps, and forcing survivors to gaze upon the uncanny. It’s a necessary complication — the ‘things’ themselves are by their nature a passive threat, so the film needs a more active element of danger to keep things tight. While the split time period does rob the film of some of its tension, we don’t lose too much more than what a decent handle on the conventions of the subgenre robs us of. We know that Sandy B is going to survive the housebound portion of the film, and we know the two pregnancies depicted will come to successful fruition. We have a fair idea that most of the supporting players are cactus, with the fun coming from seeing how, why, and when they go to meet their maker. That kind of thing is largely unavoidable unless you’re setting out to deliberately and methodically subvert conventions, and Bird Box is most assuredly not taking that path. So, what we have here is a solid, generally effectively, frequently gory apocalyptic horror scenario inhabited by a talented line-up of character actors who approach their inevitable doom with gusto. The general shape of the plot is familiar to anyone who’s spent much time in this neck of the genre, but there are enough new angles to keep all but the most jaded veterans engaged. 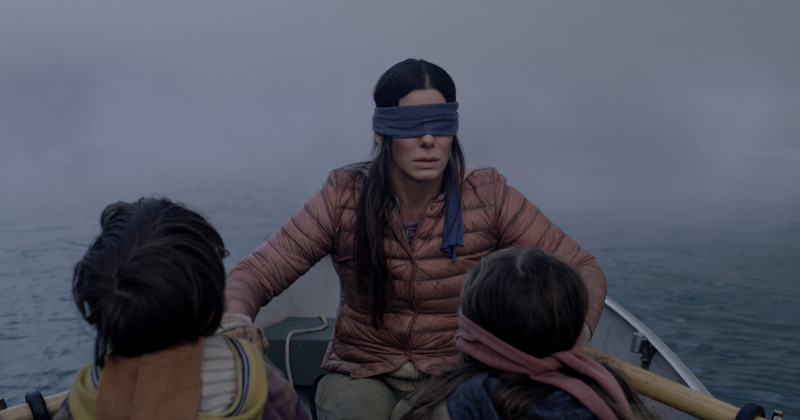 Bird Box doesn’t shatter any paradigms, but it’s not trying to — what it does do, however, it does well. Enter your email address to follow Mr. Movie's Film Blog and receive notifications of new posts by email.